Saturday began slowly, as we needed to recover from the night before. Plus we didn’t really have anywhere to be until the festival began at 2pm. We took a walk with Matt and Michelle checking out some of the sites of downtown Anchorage. I also wanted to go to this one liquor store so I could buy some Alaskan beer for our tasting. Merideth was able to do some birdwatching and saw what she was looking for; a waxwing. It was a mostly clear day, so I have to say that the view from the Captain Cook monument was quite impressive. Your history lesson for the day… Captain Cook is credited with first exploring and describing the Anchorage area in 1778. For lunch, we made our first visit to Humpy’s Great Alaskan Alehouse, the famous beer bar in downtown Anchorage. 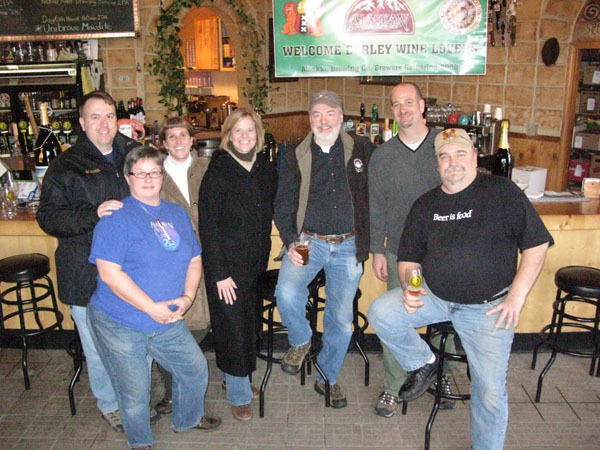 Opened in 1994, Humpy’s was the first champion of Alaskan beer and has an impressive selection. Merideth says forget the highly recommended halibut tacos and get the crab roll. 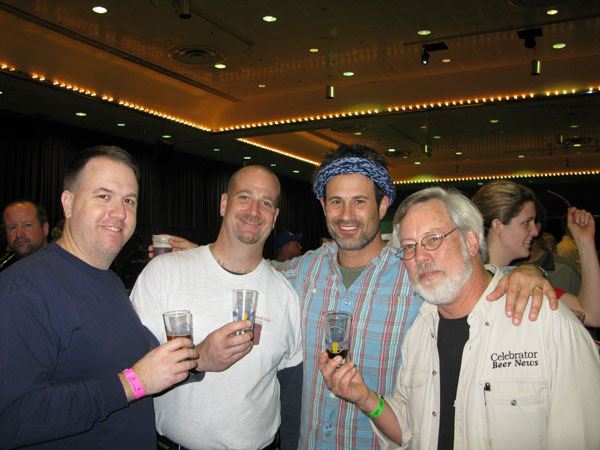 Moreover, one of the owners, Billy Opinsky, had the original idea to hold an Alaskan beer festival. With a few beers and some food under our belts, it was time to get back to the festival. There were two sessions on Saturday… we only went to the afternoon “connoisseurs” session where there were special beers not available at the other sessions. The most notable was a 1996 Smoked Porter from Alaskan. Again, we hung out with Matt, Michelle, Jason and Kristina… and met up with our new Alaskan friends as well. And of course, we hobnobbed with all the beer people. Other notables….Oaked Yeti from Great Divide, a Belgian Dark from Homer, Milk Stout from Left Hand, 2005 Darth Delerium from Moose’s Tooth, 2005 Epic Ale from Roots. And all the stuff from Midnight Sun, especially the seven deadly sins series. As for the 1996 Alaskan Smoked Porter, it was being served way too cold [The brewery representative said they did it to keep down foaming] so it was difficult to get any flavors out of it. There was more smoke aroma than flavor. I had a 2005 recently that I enjoyed much more. Now it was time to volunteer, though instead of bread cutting, we filled water pitchers and wiped down the tables between the sessions. All told, we did about 45 minutes of work; well worth it for the free admission. Our final thoughts on the festival .. wow! A lot of credit has to go to Annie Chavez and Aurora Productions plus the Great Northern Brewers Club for putting on almost flawless events. We finished up the night back at Humpy’s, drank a few beers and did something really strange; we decided to call it an early night. Sunday, my birthday, began with a brewers breakfast at Café Amsterdam, the newest and best beer bar in Anchorage. 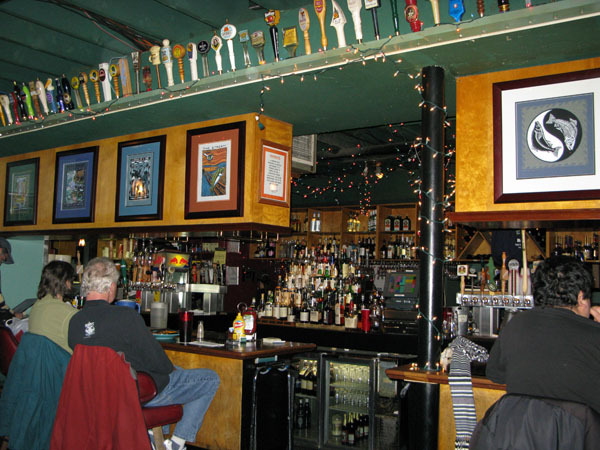 Café Amsterdam is amazing… The best Alaskan beers plus a great selection of lower 48 craft beer and Belgians. 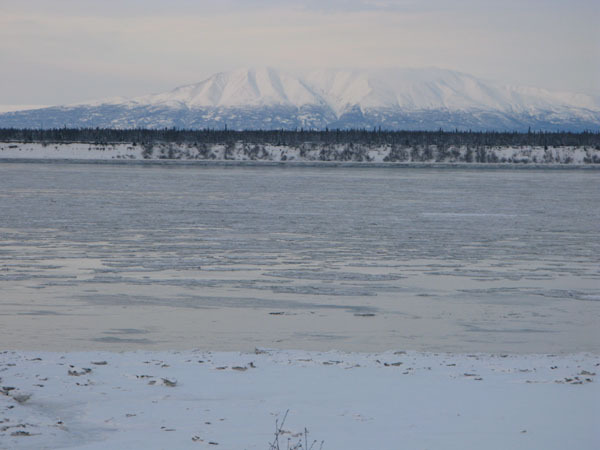 We spent several hours there with Matt and Michelle, shooting the breeze with our Alaskan friends. Thanks to Ken and Shauna, the owners of Café Amsterdam, for their hospitality. For my birthday dinner, we returned to Glacier Brewhouse and Merideth was nice enough to let we wallop her in scrabble. It was my birthday after all. Wow! I wish that in the very near future I’ll be able to do something similar with my wife! I can’t wait to read your new entry!!! I am glad we have inspired you… that is the point of our site. We finally made it up there. Went to Cafe amsterdam,Glacier brewhouse&Humpy’s to name a few. Too bad you didn’t make it to Moose’s tooth which i think was the best the city had to offer.Although we did not go to Midnight sun. Do you really need a festival for B-W?